Respected elders sit as children and younger HHN staff members pay respects by gently pouring holy water over their hands and receive blessings in return. 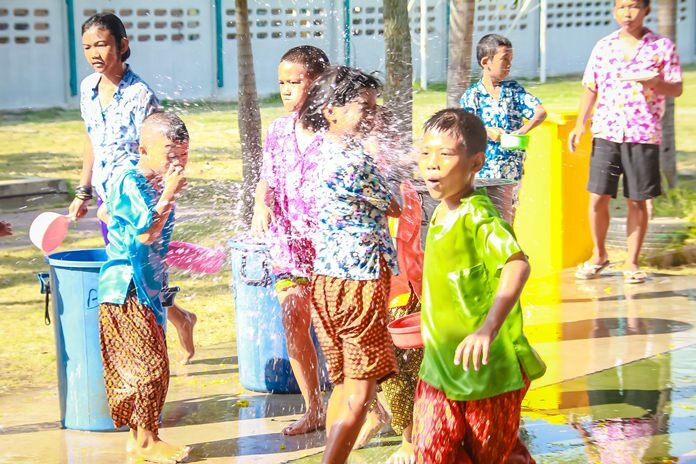 The Child Protection and Development Center celebrated Songkran with a traditional water-pouring ceremony for children and their benefactors. 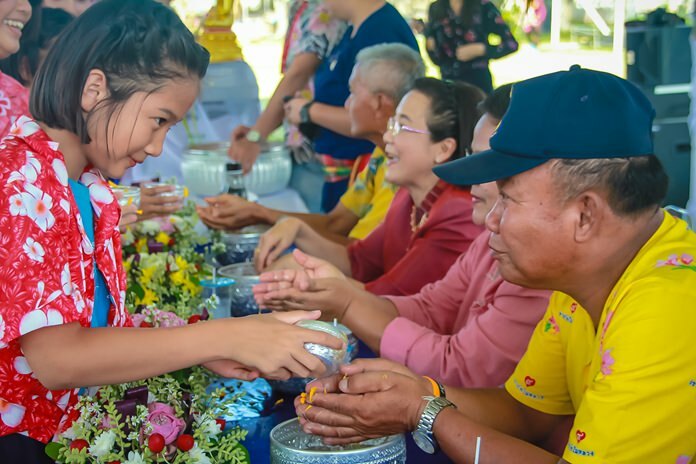 Human Help Network Thailand Director Ratchada Chomjinda oversaw the April 15 “rod nam dam hua” ceremony where respected elders sat as children and younger HHN staff members paid respects by gently pouring holy water over their hands. The day was sprinkled with other traditions as well, such as poking a red ant nest for good luck. The kids, joined by volunteers and Rotary Club sponsors, were all smiles for the day packed with activities. 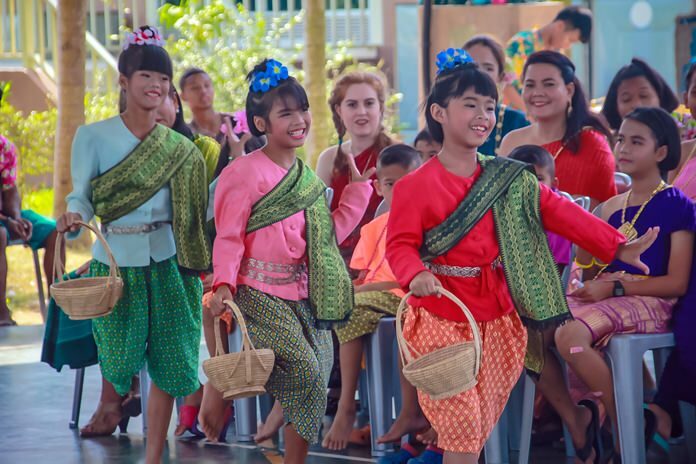 HHN dancers gave a memorable Ram Thai performance in their Lanna outfits. 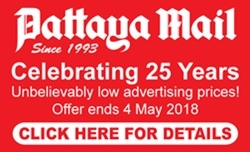 Youngsters perform the Ram Yae Kai Modaeng (poking a red ant nest) dance which originated in the Isaan region. After the formalities, the fun begins.